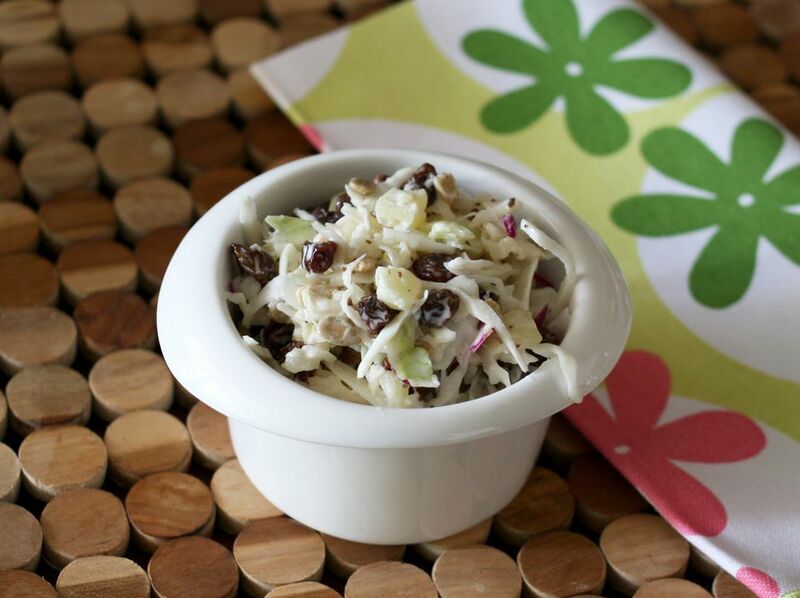 This flavorful fruity coleslaw gets a burst of flavor from the pineapple and raisins, and the sunflower seeds give it crunch. It's not your everyday coleslaw, and it's a refreshing change of pace. It's excellent for cookouts and meals. Make the coleslaw a few hours in advance for best flavor and consistency. The mayonnaise and salt draw out the liquids in the cabbage, so don't worry if it doesn't seem to have enough dressing. Feel free to leave the sunflower seeds out, or replace them with some chopped walnuts or toasted and chopped pecans. Toss the cabbage in a large bowl with the carrot, if using. In another bowl, whisk together the mayonnaise, vinegar, oil, sugar, celery seeds, and salt. Stir the mayonnaise mixture into the cabbage, along with the drained pineapple, raisins, and sunflower seeds.